It didn’t take long for entrepreneurs to arrive in the floating kingdom of Aerineya. Once adventurers and wizards began to venture into the sky in search of ancient treasures, various quick thinking landlords recognised that they would need somewhere to rest up there, and so various taverns were constructed. 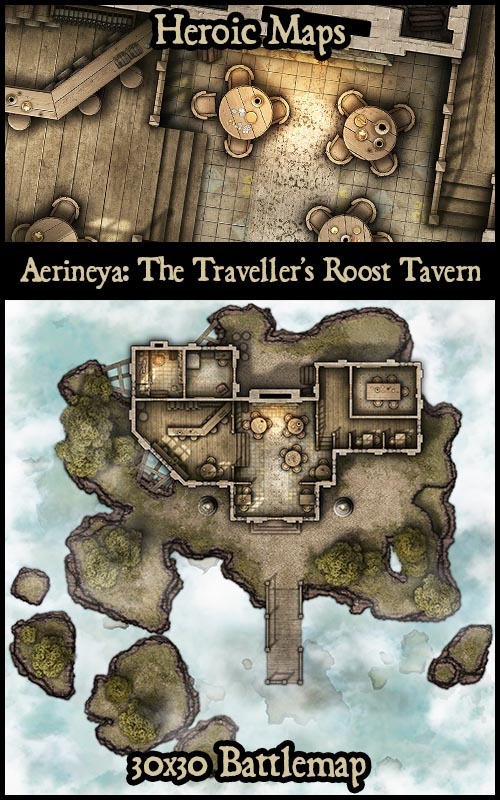 The Traveller’s Roost is one such tavern, and is a welcome sight after days in a small airship. 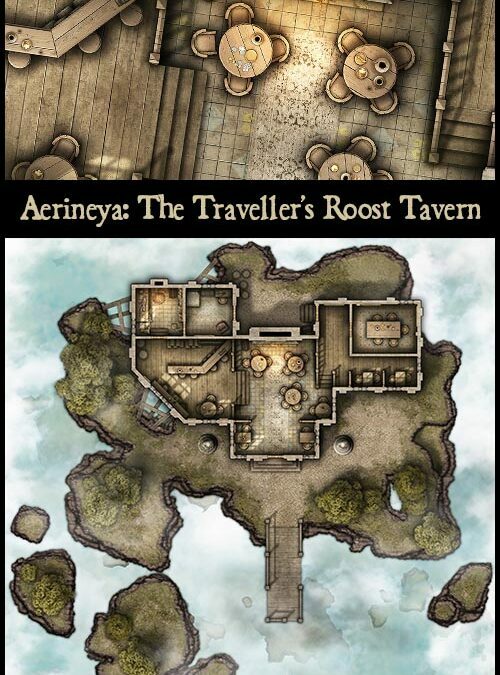 Contents: A 30 x 30 map depicting a tavern on a floating island, high in the sky. With space for mooring an airship or dirigible, the tavern is well presented and comfortable, with clean tables, good food and somewhere to meet and discuss quietly.